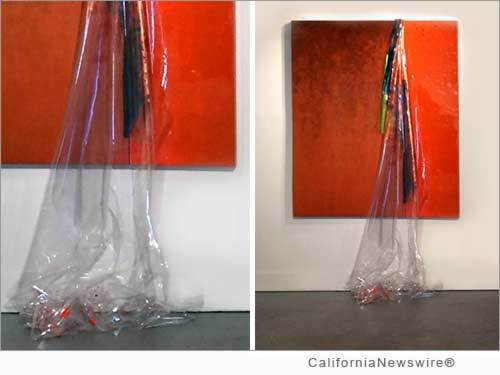 LOS ANGELES, Calif. /California Newswire/ — Fine art collectors have something to get excited about. It's a new global art movement called "Excessivism" and its early adopters date back to the late twentieth century. The movement's founder, American artist Kaloust Guedel, explains that Excessivism is a commentary on economic materialism. "The art reflects and examines the excessive desire to acquire material goods beyond one's needs and often means," he says. With little or no consideration for human and environmental consequences, but with incomparable contribution to economic growth, employment and prosperity, Excessivism portrays how a capitalistic society operates and communicates through various techniques and styles. A recent exhibit, "Excessivist Initiative," displayed works from 21 artists who examined and reflected on society's attitude towards material values. For instance, these artists portrayed the excessively generous use of resources in contemporary circumstances. Guedel is one of the leading voices in the space of this contemporary art movement and says that the art world should take note. And, he's not the only one. According to a San Diego-based art adviser, Aldis Browne, historically collectible art involves movements and the influences artists have on the successive generations. For example, the pop art movement and specifically, the work of Jeff Koons, was part of a generation of artists who explored the meaning of art in a media-saturated era. His works sold for substantial sums of money, including at least one world record auction price for a work by a living artist. Guedel says that Koons' culturally relevant work introduced glamour into pop art and that Excessivism too delivers an important message, but with a seductive allure. We're on the brink of an artistic revolution." So, who are the van Goghs or Picassos of the contemporary art world today? Excessivism may just be the movement that delivers a generation of artists who will be revered for years to come. American artist Kaloust Guedel was born in 1956. He describes himself as a "self-educated artist." Since 1975, he has lived and worked in Los Angeles. His work explores contemporary issues and often takes a critical stand on various shortcomings present in today's society. Despite varying styles and techniques, his work has been consistent with contemporary sensibility and has reflected the consciousness of its time.